Adults with intellectual disabilities often struggle to find work. Adults with intellectual disabilities often struggle to find work. Over 80-percent are under-employed or not working at all, according to an estimate by the Arc, a nonprofit that assists people with intellectual and developmental disabilities. 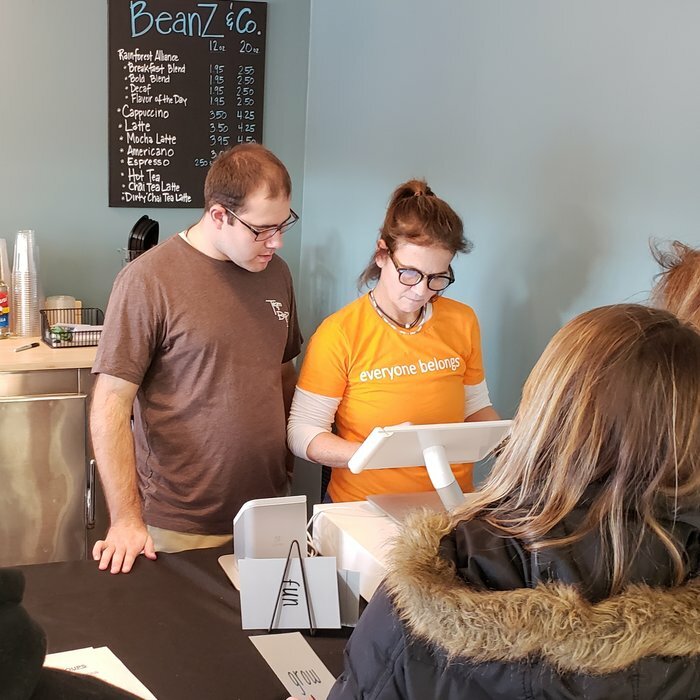 So a group of Connecticut families started a cafe named BeanZ & Co. to tackle the problem head-on. On a recent day, Lauren Traceski took an order from a customer, then relayed it to her boss, who started up the espresso machine. Steam hissed out of stainless steel appliance as the milk began to froth and bubble. 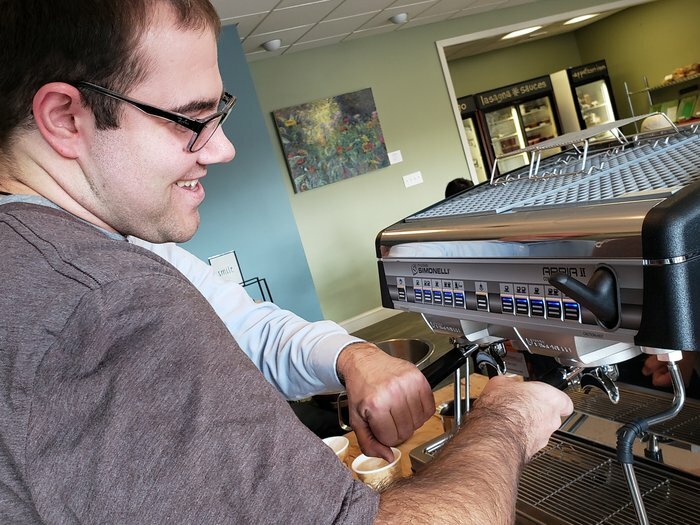 The equipment at BeanZ has been adapted to make it easier for employees to use. The espresso machine has easily identifiable labels; the cash register touch screen has been streamlined; and the counter has been lowered to accommodate shorter employees. Nick Sinacori stood in front of the touch-screen cash register, and handed the customer some change. The customer tossed the $16.50 into the tip jar. The money won’t be going to Traceski or Sinacori, or anyone else at the cafe. It will be donated to a nonprofit that the employees will choose at the end of the month. A few moments later, a customer’s latte arrived in a sleeved paper cup, filled to the brim with foam. Sinacori then explained another aspect of this new coffee shop that’s a little different — the system to identify customers who are waiting for an order uses words like “fun” and “inspire,” written onto laminated cards that customers stick on their table. “Oh, that’s awesome, I love that system,” said customer Deb Cervice. Traceski and Sinacori have had jobs before, but this one is different. That’s because BeanZ is trying to be more than just a cafe, said co-owner Kim Morrison. She wants BeanZ to employ people with disabilities, but also to be a gathering place for the community. 26-year-old employee Traceski said a job like this is rare. “We’re trying to make this like a hangout kind of place, where you can watch TV, or you can come here with your friends, or your family, you know, and make it a good time,” Traceski said. Young adults with disabilities face a daunting challenge after their 21st birthday. That’s because federally mandated services in many cases simply stop. So in addition to losing out on programs, they also lose chances to hang with friends. 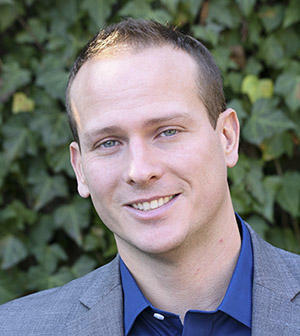 There are various transition programs that can help with job placement and other life skills, but entering the workforce is difficult, said Steve Morris, executive director of the Arc of Farmington Valley. That lack of awareness is why so many adults with intellectual disabilities are underemployed or not working. BeanZ co-founders know all about it. They each have daughters with Down syndrome. They know the job market is tough, and unforgiving. So Kim Morrison and Noelle Alix started BeanZ. They understand that most families can’t afford to open a business so their kids could get a job. But their hope is that, if they hire young adults with disabilities, other businesses would do the same. Alix nodded her head in agreement. “I think every employer that does have an inclusive workforce will say their company culture is the better for it,” Alix said. BeanZ partnered with a Connecticut nonprofit called the Be Thoughtful Movement, which paid for some adaptive equipment and designs, to make it easier for everyone. BeanZ & Co joins a growing number of companies that are trying to do more than just offer a service — they want to catalyze change and to change people’s minds about what it means to be differently-abled, another way of looking at disability. Originally published by NPR, 12.26.2018, reprinted with permission for non-commercial purposes.